Centre of excellence for Indonesian maritime-based development of humanity, sciences, technology, arts, and cultures. 1. To provide qualified learning environment to develop the capacity of innovative and proactive learners. 2. To preserve, develop, find, and create sciences, technology, arts, and cultures. 3. To implement and disseminate sciences, technology, arts, and cultures for the prosperity of Indonesian maritime society. 1. Integrity: honesty, courage, responsibility, determination. 2. Innovation: the combination of creativity, quality-orientation, independence, pioneering. 3. Catalytic: bravery, determination, dedication, and competitiveness. 4. Wisdom: appropriateness, fairness and civilizedness, holism, and adaptability. Prior to the official establishment of Hasanuddin University in 1956, the Faculty of Economics as a branch of Faculty of Economics of Indonesian University was established in Makassar in 1947. This establishment was based on the Decree of Lieutenant General Governor of the Dutch-Hindian Government No. 127 on July 23rd, 1947. Due to its uncertain condition and the turmoil in Makassar as well as its surroundings, the Makassar campus led by Drs. L.A. Enthoven was declared closed and it was reopened on October 7th, 1953 under the leadership of Prof. Drs. G.H.M. Riekerk. The spirit of Unhas was generated from the Faculty of Economics when Prof. Drs. Wolfhoff and Drs. Muhammad Baga were appointed as Acting-Director and Secretary on the September 1st, 1956, until Hasanuddin University was officiated on the September 10th, 1956. When the Faculty of Economics underwent stagnation at the end of 1950, Nuruddin Sahadat, Prof. Drs. G.J. Wolhoff, Mr. Tjia Kok Tjiang, J.E. Tatengkeng and their contemporaries prepared for the establishment of a privately funded Faculty of Law. Their efforts led to the establishment of Sawerigading Institution of Higher Education chaired by Prof. Drs. G.J. Wolhoff. Their continued efforts to initiate a state university resulted in the formation of the organizing committee for a state University in March 1950. The steps they took to realize the university was preceded by the opening of a Faculty of Law and community science, the branch of the Faculty of Law of Indonesian University which was officially opened on March 3rd, 1952 with Prof. Mr. Djokosoetono being the Dean who also served as the first Dean of the new campus. Supported by the spirit of hard work, self-reliance, and dedication, Faculty of Law was led by Professor Dr. Mr. C. de Heern, who was succeeded by Prof. Drs. G.H.M. Riekerk. Within four years time, the faculty successfully detached from Indonesian University with the release of Government Ordinance No. 23 on September 10th, 1956. Effort of Sawerigading Higher Education Foundation to set up the medicine school was realized when the foundation and ministry of Education, Teaching and Culture reached agreement. This agreement was further confirmed in the ministerial council meeting on October 22nd, 1953. Based on the decree, the committee for the preparation of Faculty of Medicine was established in Makassar chaired by Syamsuddin Daeng Mangawing and Muhammad Rasyid Daeng Sirua as the Secretary and J.E. Tatengkeng, Andi Patiwiri, and Sampara Daeng Lili as its members. On January 28th, 1956, the Minister of Education, Teaching and Culture, Prof. Mr. R. Soewandi, inaugurated Makassar Medical Faculty and later was integrated into Hasanuddin University on September 10th, 1956. The determination and struggles of South Sulawesi people to raise a generation with an engineering expertise were successful when the Minister of Education, Teaching and Culture of the Republic of Indonesia issued Decree No. 888130/S on September 8th, 1960 regarding the opening of an Engineering Faculty led by Ir. J. Pongrekun and his Secretary Ir. 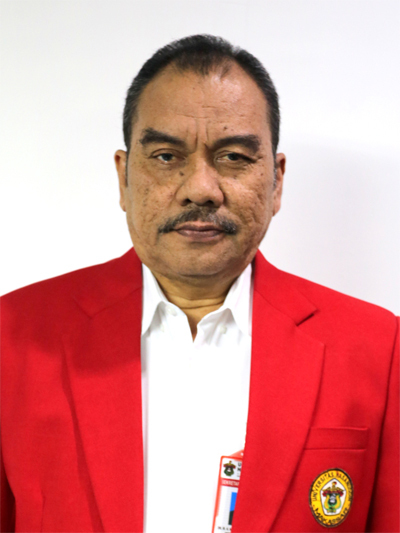 Ramli Cambari Saka. Initially, the Engineering Faculty consisted of only three departments: Civil, Mechanical, and Shipping Engineering. In 1963, the Electrical and Architectural Engineering departments were established, making the Faculty of Engineering as the fourth faculty in Hasanuddin University. Prior to the Decree of the Minister of Education, Teaching and Culture on December 3rd 1960 No. 102248/UU/1960 regarding the formation of Faculty of Letters, Hasanuddin University, several units of B.1. Programmes were integrated from Makassar Higher Education Foundation into Hasanuddin University. The foundation headed by Syamsuddin Dg. Mangawing and Prof. G.J. Wolhoff as one of its members, was originally a fraction of Sawerigading University led by Nuruddin Sahadat. The integration of B.1 Course Programs: Pedagogic, Eastern, and Western Literature, into Hasanuddin University on November 2nd, 1959 led to the official establishment of Faculty of Letters on November 3rd, 1960. Following the establishment of Faculty of Letters, was Faculty of Social Politics based on Decree of Minister of Education, Teaching and Culture on January 30th, 1961 No. A. 4692/UU41961 which was enacted on February 1, 1961. This faculty was previously a private higher education under the name ‘Fakultas Tata Praja, Universitas 17 Agustus 1945’ founded by Mr. Tjia Kok Tjiang. 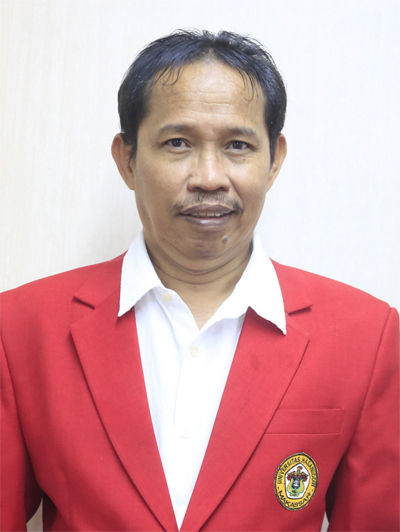 After having become a state faculty, Mr. Tjia Kok Tjiang became the Dean assisted by Mr. Sukamto as the secretary. 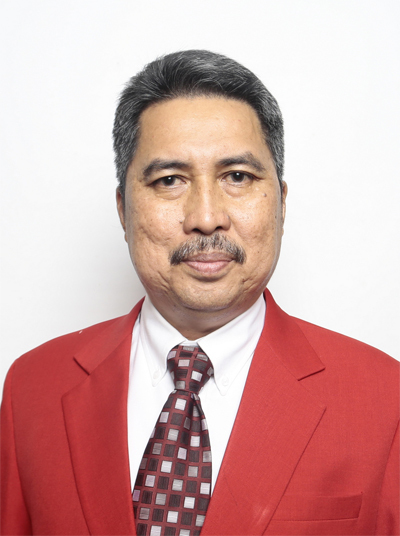 On November 15th, 1962, Mr. Sukamto was appointed Dean and Abdullah Amu as the Secretary. The Governor, Andi Pangerang Pettarani, at the meeting on 11th March 1963, appointed Ir. Aminuddin Ressang as the chairman of sub-working committee for the official formation of the Faculty of Exact and Natural Sciences with reference to the telegram of PTIP Ministry on August 8th, 1963 No. 59 1 BM/PTIP/63 followed by Ministerial Decree No.102 of 1963 enacted on August 17th, 1963. In 1963, the founding committee of Faculty of Veterinary and Animal Husbandry was established in Makassar and chaired by Syamsuddin Dg. Mangawing and the members were Andi Pangerang Petta Rani, Drh. A. Dahlan and Andi Patiwiri. On October 10th, 1963, Faculty of Veterinary Science and Animal Husbandry was established as private faculty with Drh. Achmad Dahlan as the Dean and Drh. Muh. Gaus Siregar and Andi Baso Ronda, B.Agr.Sc. as the 1st and 2nd Vice Dean, respectively. Starting from May 1st, 1964, the status of this private faculty changed into a state faculty under the name of Faculty of Animal Husbandry of after the release of the Decree of the Minister of PTIP No. 371194 on May 4, 1964. The establishment of Faculty of Dentistry on 23rd of January 1969 was the product of the close cooperation between Hasanuddin University and the Naval Force of the Republic of Indonesia. Several people involved in this establishment were Admiral Mursalim Dg Mamangun, S.H., the Rector of Hasanuddin University, Liutenant Colonel Dr. M. Natsir Said, S.H., and Drg. 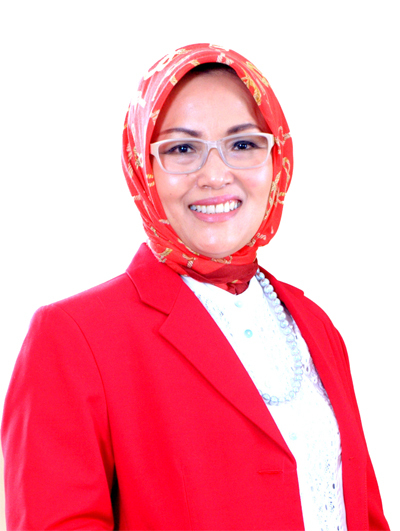 Halima Dg Sikati and was named Yos Sudarso Dentistry Institute (Institut Kedokteran Gigi Yos Sudarso). In 1970, this institute officially became the Department of Dentistry Hasanuddin University and later became Faculty of Dentistry, Hasanuddin University in 1983. Faculty of Public Health was established on November 5th, 1982 as the eleventh faculty within the university. At the beginning, it admitted students from three-year diploma of health program graduates and starting in 1987, admission for senior high school graduates was opened. As an implementation of development of basic scientific scheme (PIP) as the reference for higher education in Indonesia, in 1988 Hasanuddin University officially opened stud program of Marine Sciences based on the Decree of Directorate General of Higher Education No. 19/Dikti/Kep/1988 on 16th of June 1988. Initially, this study program was directly under the management of the Rector because there had not been an appropriate institution to host it and was considered as inter-disciplinary sciences Considering its marine oriented characteristics, this study program finally became Faculty of Marine and Fishery Sciences by combining Fishery Department into the faculty based on the Decree of the Minister of Education and Culture No.036/0/1996 on January 29th, 1996. In the 25th Anniversary on September 17th, 1981, the President of Indonesia, Soeharto, officiated Tamalanrea campus, which was initially designed by Paddock Inc. Massachusetts USA, and built by the OD 205, the Netherlands in cooperation with PT. Sangkuriang Bandung on the area of 220 Ha. Let. Kol. Dr. M. Natsir Said, S.H. 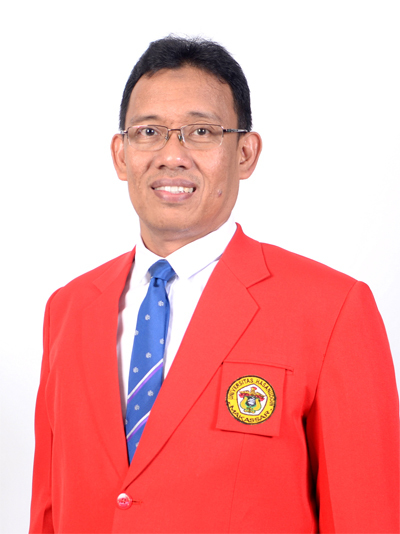 Prof. Dr. Basri Hasanuddin, M.A. 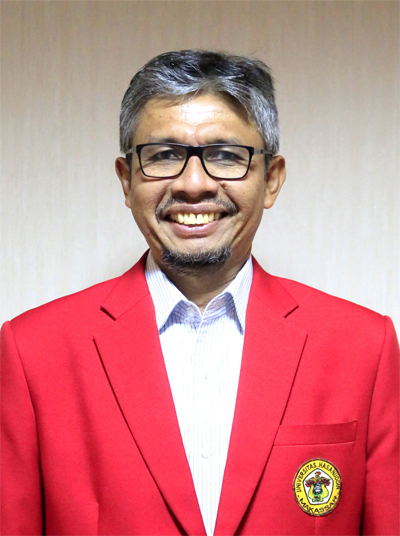 Prof. Dr. dr. Idrus A. Paturusi, Sp.BO. Prof. Dr. Dwia Aries Tina Pulubuhu, M.A. Academic Senate is an main body of university responsible to decide policy, provide consideration, and oversee monitoring in the implementation of academic field. The members of Academic Senate consist of lecturers elected from faculty members, which every faculty has same numbers of representatives. Board of Trustee in a body of university responsible to decide policy, provide consideration, and oversee monitoring in the implementation of non-academic field. There are five bureaus under Rector and Vice Rectors that have various tasks to implement university policy and coordinate administrative functions. On July 22, 2015, President of Republic of Indonesia, H.E. Ir. Joko Widodo, issued Government Regulation Number 53 Year 2015 Regarding the Statuta of Hasanuddin University. The documents listed in State Official Gazette Year 2015 Number 171. The Hasanuddin University Statute consists of 11 Chapters and 76 articles, describe the general organizational structure and functions and main mandatory of Hasanuddin University as a Fully Autonomous Public University (Indonesian: Perguruan Tinggi Negeri Berbadan Hukum). Click here to download the Statute (PDF, available in Indonesian Only).